Network functions virtualization is becoming a popular, useful way to deploy IT infrastructure without incurring unnecessary equipment costs. NFV allows IT administrators to deploy and manage the network functions necessary to support virtualized infrastructure, and it can accelerate the deployment of new network architectures, as well. The telecom industry is growing at a rapid pace. The increasing popularity of smartphone and tablet devices and incredible demand for mobile data have led to an extreme shift in the marketplace. The Telecommunications Industry Association predicted in mid-2014 that worldwide spending on wireless and wireline infrastructure between 2014 and 2017 would come to a total of $323 billion, which is 25 percent more than the $259 billion spent from 2010 to 2013. There's a reason for this staggering growth. The emergence of the Internet of Things and subsequent clamoring for 5G networks has created a need for communications service providers to speed up their development processes in order to accommodate for a quickly changing telecom climate, and paying more attention to network strengthening solutions is helping facilitate these quick changes. Communications providers are already lining up their own network-strengthening solutions ahead of the widespread implementation of 5G capabilities. Zacks Equity Research noted that Verizon is going to start deploying commercial 5G networks in 2016, four years ahead of the projected start date for the new capabilities. South Korean wireless company SK Telecom announced in October that its own tests for 5G networks show they can operate at speeds of up to 19.1 gigabits per second, or around 1,000 times the speed of the current South Korean networks, according to CNET. 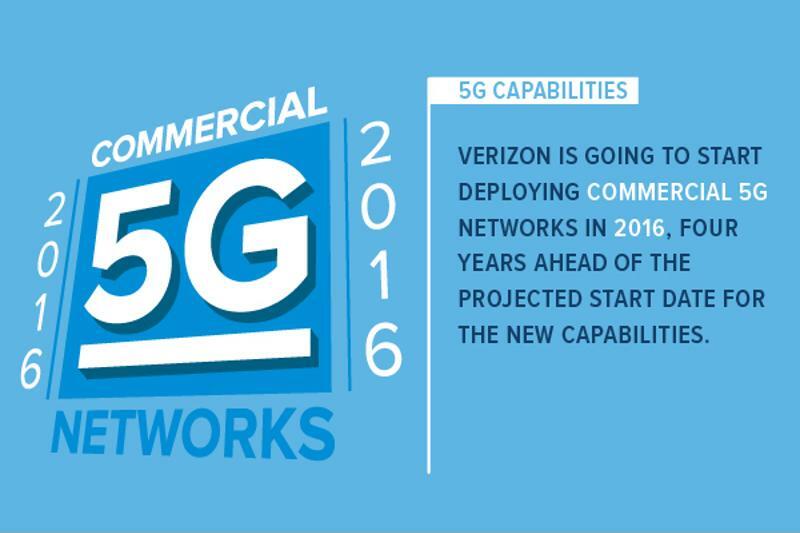 5G capabilities are on the rise, with Verizon leading the way in 2016. All of this activity in the telecommunications space is leading to a distinct need for service providers to figure out how to serve customer needs quickly and effectively and respond to changing markets and technologies. As 5G networks and the Internet of Things become more viable and widespread use draws nearer, how are these telecommunications providers going to test the underlying technology? China Telecom Beijing Research Institute and Hewlett-Packard Enterprise recently announced that they're teaming up to create a joint NFV lab in Beijing in order to test the benefits of migrating from legacy systems to more advanced infrastructure running on a software-defined network and strengthened by NFV capabilities. In the end, the companies believe that the testing environment will help pave the way for new technologies and help China's telecommunications networks transform. "We believe that the integration of NFV within SDN-enabled infrastructure will be the next stage of evolution for the strategic development of the China Telecom network," said Li Zhigang, the president of the China Telecom Beijing Research Institute. "We hope that our collaborative efforts with HPE will result in the creation of NFV solutions which meet our needs, and advance the transformation of our networks." This example of how NFV and SDN impact the telecommunications industry is indicative of how it's crucial during software and app development to employ a testing environment. Another example of this is how important the cloud is becoming for organizations across the tech space. Forbes contributor Joe McKendrick predicted that in 2016, the cloud will continue to be a driver of innovation within the tech industry, paving the way for the Internet of Things and flexible assembly models, among other new ways to develop and deploy software. "It's crucial during software and app development to employ a testing environment." In order to achieve that innovation, IT developers turn to cloud-based devtest environments to make sure their software fulfills customer needs and works properly before deployment. In addition, development teams can take advantage of agile methodologies to create, test and then release applications without having to worry about whether or not legacy infrastructure is getting in the way. This is where tools like the Cloud Sandbox from QualiSystems come into play. With Cloud Sandbox, cloud-based tools can be tested and strengthened within an experimental environment. In this kind of devtest lab, development teams can access a shared pool of resources to create and deploy their own network architectures. The takeaway: Telecommunications companies use NFV lab environments to test new network architectures. Development teams can use Cloud Sandbox to build infrastructures and access a shared pool of resources.